Fabulous dress, nicer than the inspo! Also your fabric choice is great. 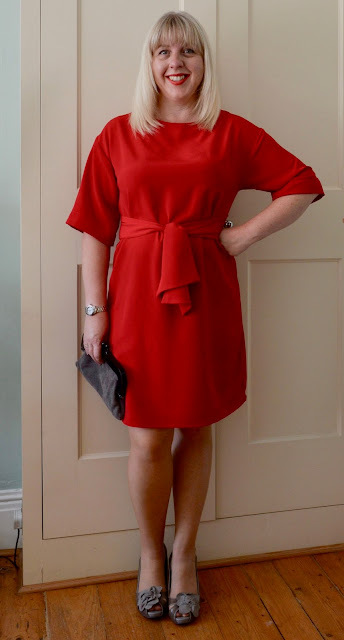 I'm keen to make this dress now based on yours not the pattern photo which is too stiff and sacky and would put me off. Absolutely gorgeous! Jane, I think your dress is beautiful...and much better made than the inspiration one! Lovely - it’s great fun to make ones own version of something seen in the shops! I must say I think your fabric choice is far better than a heavier one, denim or cord would be way too heavy for a belted sack dress! I really turned out well, Jane. I don't think I would have chosen the pattern either, due to the uninspiring picture on the front of the packet. But it all worked out pretty much as you wanted; so good deal. 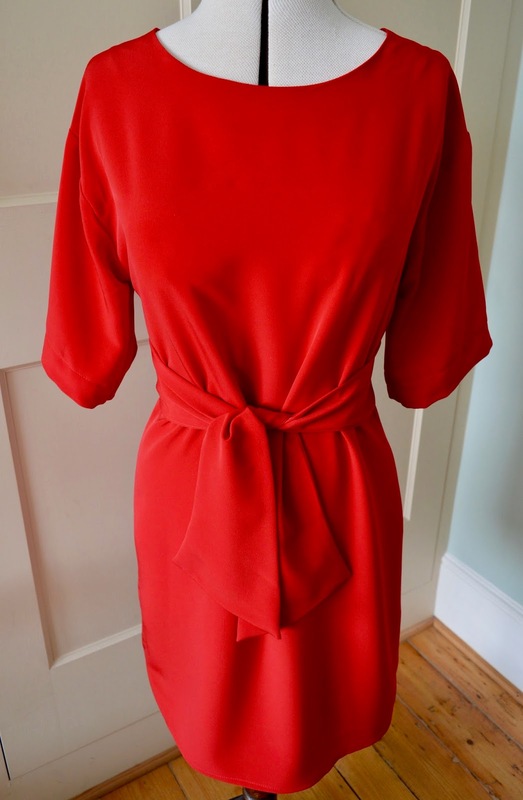 You look great in your new red dress! This dress is lovely! It look stylish and comfortable... and I LOVE the color! You did a fantastic job! This is stunning! That colour is gorgeous and it looks lovely on you. I love your dress. It looks nicer and more expensive than the inspiration dress too! You look beautiful in red. I love the shape of the dress. Looks incredible on you! 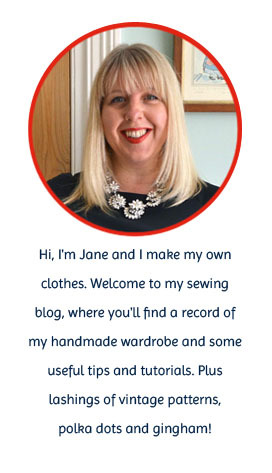 Jane, I completely love your dress so much more then your inspiration! It's looks classier. Its beautiful! That shade of red is perfect on you, absolutely lovely! It's great when you can find fabric and a pattern to match inspiration. Looks beautiful Jane. Kicking myself now though because I picked this pattern up at GBSB Live and put it down! I have just the fabric for this too! Looks like I'll have to buy it now! Great job!!! It looks like the same dress! 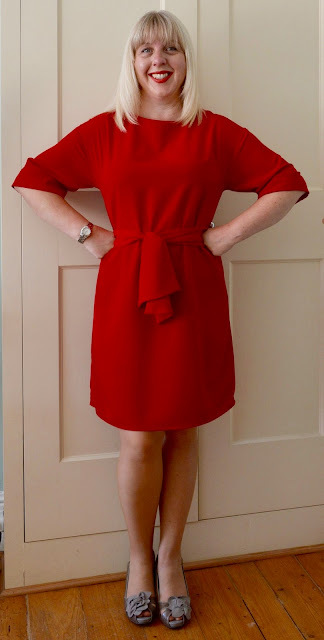 Thanks for this review - if I'd have just seen the pattern pic I wouldn't have considered it- not very flattering - but your version in drapey fabric is lovely! I think your dress looks great! The colour suits you and the drapery fabric is perfect for this pattern. It looks very classy! Beautiful and lovely shoes too! I absolutely LOVE this on you Karen! It really suits you. Great job. Who needs to spend £200 on a dress when you can sew! I'm looking at buying this fabric but I just wanted to ask you, did you line this or was it ok? I just wanted to check if it's see through before buying it!